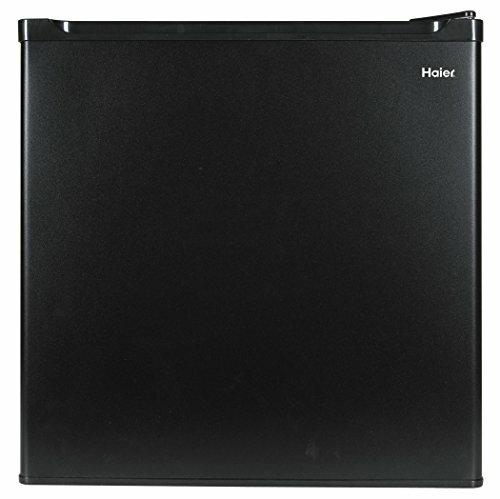 The Haier 1.7 Cubic Feet Refrigerator/Freezer features door space to hold 2 Liter Bottle Storage bottles. With one full-width Wire shelf, The refrigerator is easy to position with its adjustable leveling legs and has a flat-back design to help save space. Your refrigerator will automatically maintain the temperature level you select. The temperature control dial has 7 settings plus "0" - 1 is the warmest, 7 is the coldest. Black.